Spinosaurus is the longest, and among the largest predatory dinosaurs, and possesses many adaptations for a semiaquatic lifestyle. A tiny claw phalanx of the foot, discovered in Cretaceous-aged sandstones of the Sahara, shows a peculiar shape compatible with an early juvenile Spinosaurus. As reported in PeerJ - the Journal of Life & Environmental Sciences, the fossil is from the smallest known individual of this giant, sail-backed theropod. The findings suggest the small specimen retains the same locomotor adaptations as the large version - such as traversing soft substrates or paddling - during the entire lifespan. Collected in Morocco in 1999, a 21 mm-long pedal ungual phalanx (a phalanx supporting a claw of the foot) remained unnoticed in the Paleontological Collection of the Natural History Museum of Milan, until the recent discovery (2014) of a new partial skeleton of Spinosaurus aegyptiacus, that preserves an almost complete right foot with peculiar morphology in the phalanges. 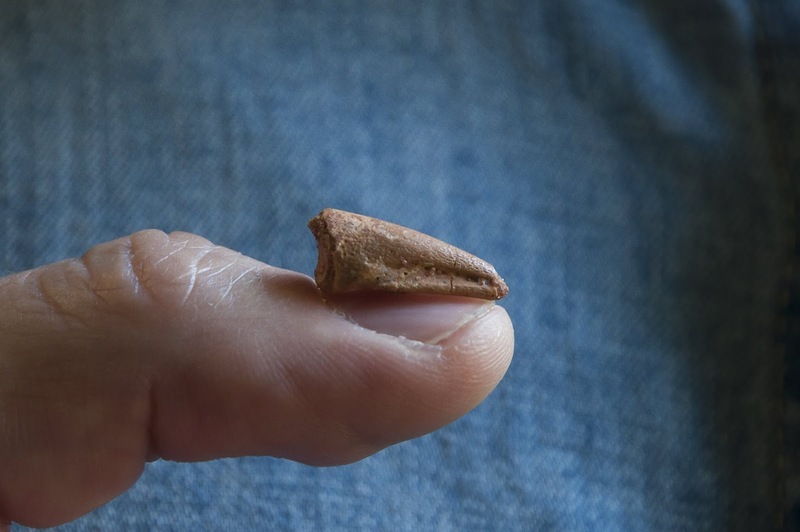 The striking similarities with the claw phalanges of the foot of Spinosaurus allowed palaeontologists Simone Maganuco and Cristiano Dal Sasso to identify the tiny bone to a very small and young specimen of the sail-backed Spinosaurus, the smallest individual reported up to today. 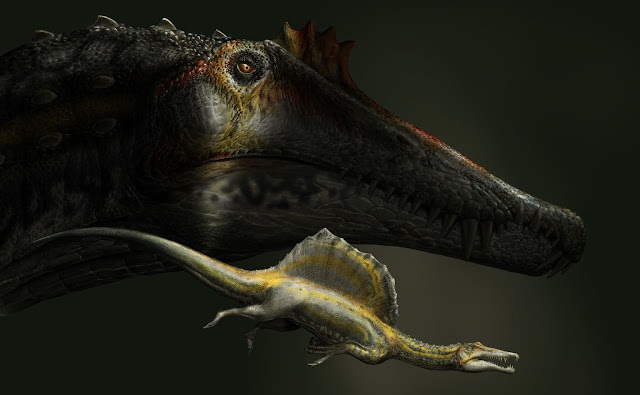 "Besides the rarity of the fossils belonging to juvenile theropod dinosaurs, and the rarity of Spinosaurus bones, this finding is even more remarkable if we consider the dramatic size attained by some large specimens of Spinosaurus, which are possibly the longest, and among the largest predatory dinosaurs ever found"- says Maganuco. Assuming the juveniles looked like smaller versions of the adults, the 21 mm-long claw phalanx from this small specimen would pertain to an early juvenile individual, 1.78 m-long, only just a little bit longer than the estimated length of the sole head of the largest adult Spinosaurus known to date, which is also housed at the Natural History Museum of Milan. on the 1-meter-long snout MSNM V4047, the baby is based on the tiny claw phalanx MSNM V6894. According to recent studies, the broader than deep unguals in Spinosaurus with their flat plantar surface are reminiscent of the flattened pedal shape of shorebirds that do not perch, and the whole foot may have been adapted to traversing soft substrates or webbed for paddling. "This find indicates that in Spinosaurus the foot of early juveniles had the same locomotor adaptations observed in large individuals, that were probably achieved early in ontogeny and retained for the entire lifespan", remarks co-author Cristiano Dal Sasso.